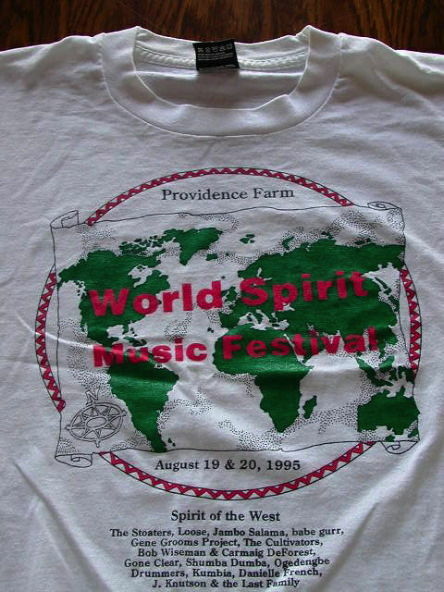 This is a shirt from a small festival in or near my old home town. The festival was to raise money for some cause, but mainly it was hippies, granolas, and what not camping out and smoking pot. Kev and I went, back when I was big into Spirit of the West. The band I really liked was Loose, I even hunted down their cd but it wasn't as good, nor did it seem to have any of the songs from their show.